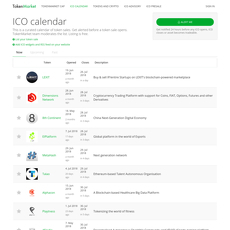 WiserICO is a calendar for ICO projects. 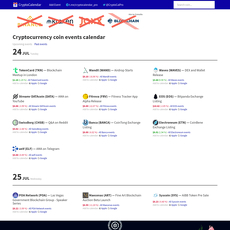 The calendar lists past, present, and upcoming ICO projects. 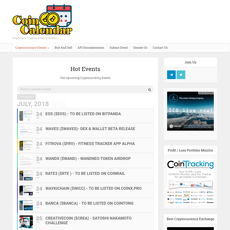 The website also provides reviews on each of the projects. 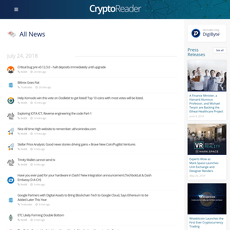 The reviews include a link to the project's, link to the social media of the project, links to relevant documentation, a description completed by WiserICO, and a rating by WiserICO. Registered users of WiserICO can comment and engage in discussions under the ICO projects. WiserICO also has a Twitter, Telegram, and Facebook where ICO's details are posted. 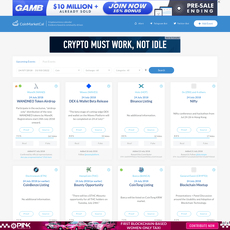 The website also has a link to another website, base.info, where users can get cryptocurrency asset prices and metrics. There is a cost to projects that wish to list their ICO. There are two packages. The standard package costs 1.9 Ether. 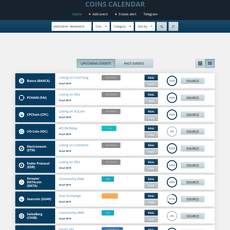 The standard package includes the project being listed on the website and being distributed to Twitter, Email database, push notifications, Telegram, Facebook, and Reddit. The professional package includes the same listing and distribution but there is also an article posted on Medium, Steemit, and cryptocurrency talk forums. WiserICO claims that the professional package gets three to four times more traffic than the standard package. The professional package costs 2.9 Ether. Although WiserICO will bring users project to the attention of a wide number of potential investors, there are also free versions available which will list projects at no cost.